Rising costs and the drop in gold prices in first quarter have already put some gold miners in the uncomfortable position of having to consider hedging production. When prices dipped to the $1,320s area, it started to come close the marginal cost of production plus sustaining capital expenditures, called all-in costs. Estimates of those costs range between $1,200 and $1,300. So on average, how much did it cost in total to dig up an ounce of gold? The answer is it depends on companies mining in different region of the world. Mining in Canada is much more cost efficient than mining in South America. MCX GOLDGUINEA July contract is trading with a gain of 0.47% at Rs 20951 up by Rs 97. It has got the intraday high of 20999 in early session of today's trading. Till now 3437 contracts have been traded. GOLDGUINEA prices have moved down Rs 530, or 2.47 percent in the July series so far. 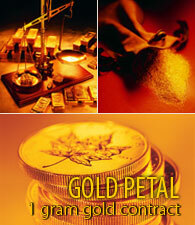 MCX GOLDGUINEA August contract was trading at Rs 21031 up Rs 83, or 0.40 percent. The GOLDGUINEA rate touched an intraday high of Rs 21080 and an intraday low of Rs 20981. So far 541 contracts have been traded. GOLDGUINEA prices have moved down Rs 675, or 3.11 percent in the August series so far.